Welcome to a website for the African Diaspora Archaeology Network ("ADAN"). The ADAN provides a focal point for archaeological and interdisciplinary studies of African diasporas, with news, current research, information and links to other web resources related to the archaeology and history of descendants of African peoples. 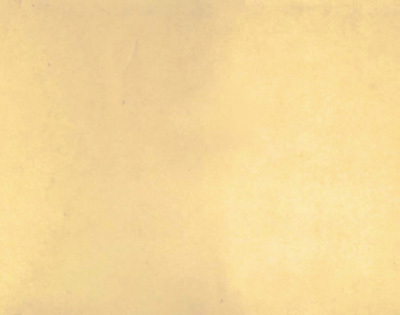 Through this engagement with African diasporas, the ADAN seeks to connect an intellectual community that considers the historical processes of culture, economics, gender, power, and racialization operating within and upon African descendant communities. We publish a quarterly online Newsletter, with essays, analysis papers, project reports, announcements, book reviews, and news updates, that serve a readership of several thousand stakeholders, researchers, and educators across the globe. 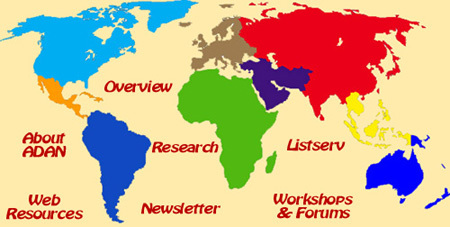 You can navigate within this web site by clicking on the subjects on the world map displayed at the top of each menu page. 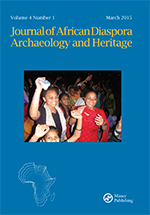 ADAN members also serve on the editorial board of the peer reviewed Journal of African Diaspora Archaeology and Heritage (Taylor & Francis Press). News, announcements, and current discussions are available on our Facebook page. In addition to the many collaborating researchers who participate in this network, this internet resource and Newsletter are co-edited by Whitney Battle-Baptiste, Kelley Deetz and Christopher Barton, with assistance from Marc Lorenc, Justin Dunnavant, and Ayana Flewellen. The resources presented here are hosted and published by Chris Fennell of the Department of African American Studies, Center for African Studies, and the Department of Anthropology at the University of Illinois. or questions to the editors listed above.